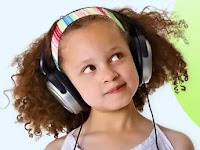 To support children’s literacy, AudibleKids is working with Reading Is Fundamental, Inc.(RIF), the nation’s oldest and largest nonprofit children’s and family literacy organization, to motivate all children to become readers. Choose any of these titles and download for free: Rapunzel , Gift of the Magi , The Tell-Tale Heart, Rikki-Tikki-Tavi , The Emperor's New Clothes, Rip Van Winkle, Peter Pan in Scarlet: First Chapter, Rotten School: The Song, and Interview with Lemony Snicket. Born to Love - All your baby needs, naturally! Cloth diapering & more. 10% Discount Code: "Giveaway"
Frugal Baby Tips - Money-saving tips on diapering, diaper washing, safety, slings & baby carriers, toys, clothing, nursing, menstrual needs, traveling with kids, more.